Four owls sitting on the tree, and they are so lovely, cute and colorful. &nb.. 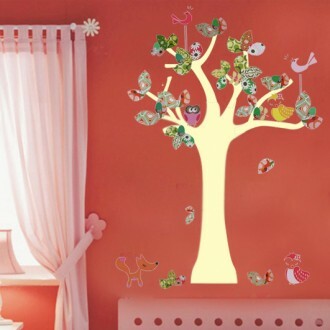 Size: 61*75cm / 24"x 30"cm Feature: - Easy to use, "Just Peel &..
A peaceful decal for your baby room You will create a relaxing and peaceful room for your kids. O.. Size: 130*110cm Feature: - Easy to use, "Just Peel & Stick" type de.. 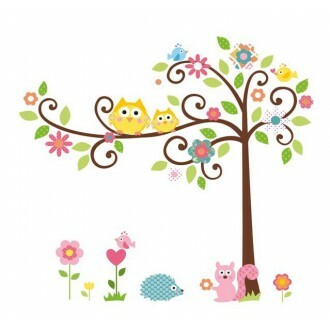 This decal is so colorful and your kids will like it. 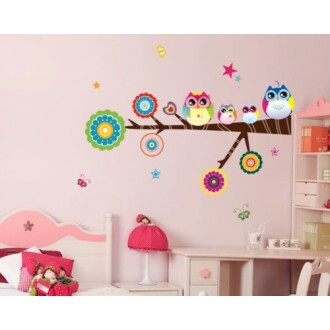 Cute colorful decal with big eyed owl.. 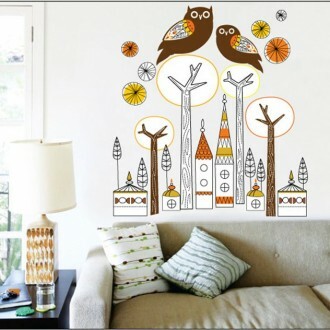 Size: 55*100cm Feature: - Easy to use, "Just Peel & Stick" type dec..